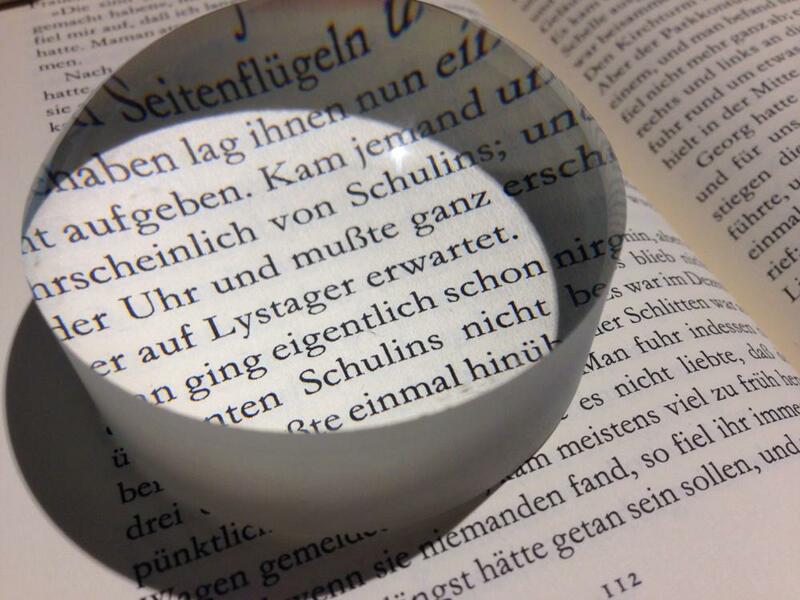 Reading stones were the first magnifiers people used as a reading aids. They were invented in the middle of the 13th century and very quickly became common in the whole of Europe. About fifty years later glasses were invented. They replaced reading stones as the main reading aid. Based on old drawings, it is known that in 2700 B.C. the Egyptians were already abled to grind and to polish glass surfaces. 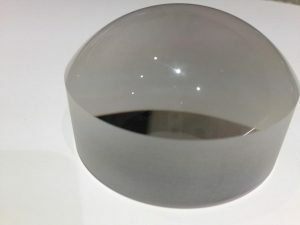 The technical base for the production of lenses was theoretically available. They also had some knowledge of optics, and even knew the laws of light reflection. But magnification is caused by light refraction which at that time was not yet known. Additionally, there are no records or evidence found which indicate that any form of reading aid was used. It is certain that the Egyptians did not invent any form of magnification. In the antique, Greek and Roman scientists explored the laws of optics. Records exist which describe their investigations in this field. But no signs were found that indicate they were able to manufacture optical lenses and reading aids. Seneca i.e. wrote that one can see letters larger when holding a spherical bowl filled with water over them. It´s also said that Emperor Nero (37-68 A.D.) watched gladiator fights by holding a green emerald to his eye. Later, it was discovered that he used it only as a protection against the sun. The Greek astronomer and mathematician Claudius Ptolemy (90-160 A.D.) verifiably experimented with light refraction. He discovered that glass and water have different angles of reflection. To summarize: The Romans knew that a certain combination of glass and water or other transparent materials can cause the effect of magnification. They also knew that there is the effect of light refraction. Their problem was that they were not able to use this knowledge to develop lenses. Instead, there are lot of records of Romans complaining about the worsening of their visual faculties in old age, and that there was no remedy for it. With the downfall of the Roman Empire, a lot of the knowledge from Classical Antiquity was lost in Europe. Instead, the Arabs began to carry on the cultural achievements. They collected and translated the wisdom of the “old” Greeks and Romans in their libraries. So it came that after the death of Ptolemy, the world had to wait 800 years until new efforts were made in the field of optics. The Arab mathematician and astronomer Abu Ali al-Hassan Ibn al-Haitham (965-1039) – also known as Alhazen – published his book “The treasure of the optics”. In this Alhazen described the basics of geometrical optics. He wrote of central rays which are not refracted when crossing a lens. He described the inclined rays which were refracted at an angle, depending on the density of the transparent material. He asserted that oval objects could be used to magnify objects. Alhazen had theorized what lenses would have to look like. Astonishingly no evidence was found that he manufactured lenses himself. Apparently, he never used his knowledge to develop a reading aid. In the year 1240 Erazm Golek Vitello (1220-1280) translated Alhazen´s “Treasure of optics” into Latin. As the Christian monasteries cultivated an intense exchange of knowledge, his book was distributed very quickly. The monks began to implement Alhazen´s theoretical discoveries and manufactured the first reading aids. Their main goal was to help their elder brothers to read again. The Franciscan Order especially was very industrious here. Their fraternity was widely spread across the whole continent and the monks were very skilled craftsmen. At the end of the 13th century Venice was the only place in Europe where white glass could be produced. Therefore, the monks used quartz or beryl to grind reading stones into the structure of a plano-convex lens. Reading stones spread quickly across the whole of Europe and they became very common as a reading aid for several social levels. There are several indicators in Old High German literature to prove this. Albrecht von Scharfenberg (1270) and Konrad von Würzbürg (1225-1287) mention the “beryl” and the “crystal” in their books. Chiara Frugoni: “The middle age: glasses, books, bank business and other inventions of the middle age.